Today I had every intention of getting an early-ish start and being super productive…and then when I went to drive to the grocery store I found that I had a flat tire >:( So that added at least another hour and a half to my planned grocery store trip which set back my lunch by more than I would have liked to. The plus side is that this is a pretty quick and easy lunch to make, plus it’s packed with protein. I adapted the P90X tuna salad recipe for this. 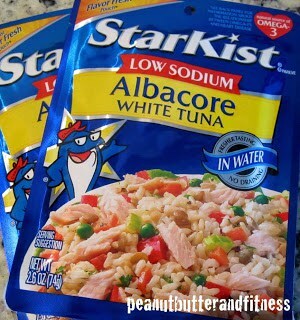 I like to use these packets of tuna instead of the cans. It’s more expensive, but who really wants to stand there and drain a can of tuna? I certainly don’t, especially today while I was super hungry and ready to start gnawing on my shoulder since I had no snacks with me on my grocery trip. 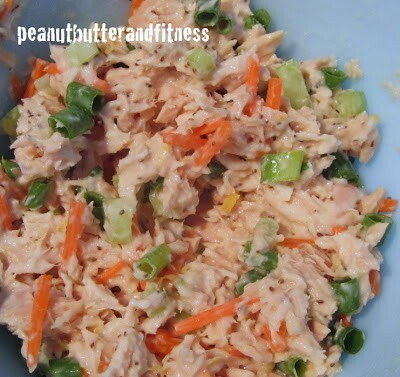 The recipe calls for shredded carrots, but I think the ones you buy in the store pre-shredded are too chunky for a tuna salad, plus I need the carrots for another recipe. 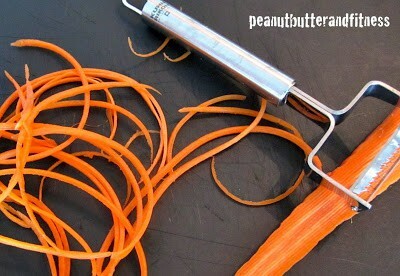 I just used my julienne peeler (which I love a lot) and then cut up the julienned pieces. Place the tuna packets in a small bowl. Add mayo/Greek yogurt and mix thoroughly. 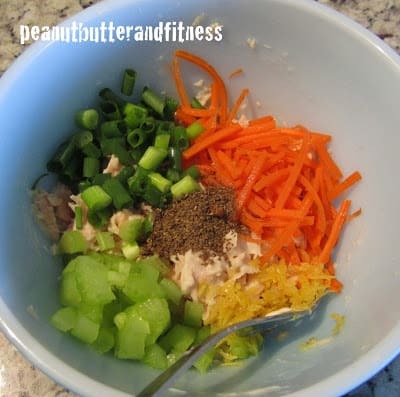 Then add lemon zest, lemon juice, carrots, celery, green onions, and celery seeds. Mix well. 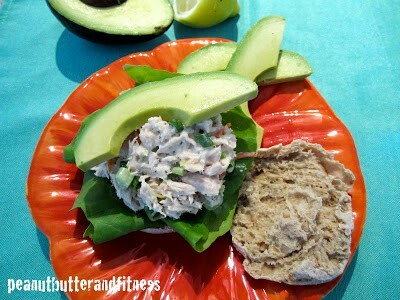 Place a couple pieces of butter lettuce on the bottom piece of English muffin, followed by about half of the tuna salad. 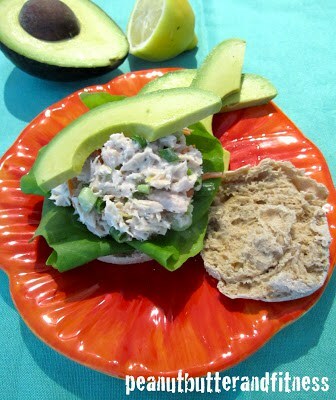 Add avocado slices and top of English muffin. Normally I would have stuck the bottom half of the sandwich in the microwave with a big slice of cheese. I love cheese a lot, but I’m trying to cut back on it a lot since it’s so high in empty calories, fat and sodium. I don’t even keep any in my apartment anymore since I know I’ll eat it all 🙁 On this sandwich, to keep myself from missing the creaminess of the cheese, I just added a few slices of yummy and healthy avocado. Tada!